To many people the guttural mumbles of Tom Waits, intoning a history of bar flys, prostitutes, Jim Beam and a hundred thousand Marlboro Reds, are a challenging listen. 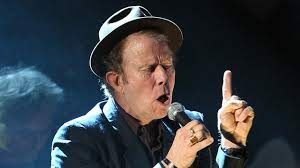 But what cannot be denied is that Waits is a story teller of a singular genius, telling, as he does, the story of an American underbelly. The America straight out of a trashy novel. The flip side of the American dream and what it is to be a bum, a vagrant, an invisible stench staining the American ideal. But where do you start with his music? What should you listen to to get a flavour of what Tom has done in 50 years of documenting his America? Well Tom has helpfully put together a 76 track retrospective of his career that he has put up on Spotify which you can access at the link below. 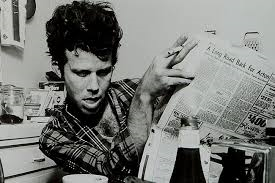 Tom Waits for me is one of, if not the, greatest storyteller in the history of popular music. Skipping across genres, forms and musical composition Waits tells his tales of heartbreak, loneliness and drunkenness with a hollering swagger, a bawling bravado and a rasping grumble taking the listener into his world. His songs are more like conversations, conspiratorial whispers of ne’ering do. He holds his audience like the old lush at the end of the bar; you don’t want to be taken in, but like passing an accident on the street you can’t help but be taken in by his songs of modern folklore. 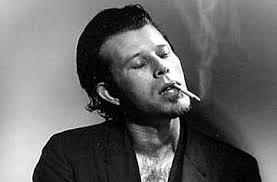 If you’ve never listened to Tom Waits, give this retrospective a go, immerse yourself in his world and let the stories wash over you. And if you already do enjoy Tom’s work, find out what the man himself puts out as his definitive career.